Santana (1966-present) is a Psychedelic Rock band from San Francisco, California, USA. ormed in 1966 in San Francisco, USA and originally known as the Santana Blues Band, by Mexican-American guitarist Carlos Santana and with the help of guitarist Tom Fraser, the act came to public attention with their performance of Soul Sacrifice at the Woodstock festival in 1969. The remainder of the membership consisted of Marcus Malone (percussion), Rod Harper (drums), Gus Rodriguez (bass guitar) and Gregg Rolie (lead vocals, Hammond organ B3). The group's first audition was at the Avalon Ballroom in late summer of 1967. After the audition, promoter of the event, Chet Helms, told the band that they would never make it in the San Francisco music scene playing their Latin fusion style and suggested Carlos keep his day job washing dishes! Malone left the band when he was convicted of manslaughter to serve a sentence at the infamous San Quentin State Prison. The act's big break came with the 1969 Woodstock festival. How that happened was due to Bill Graham who was asked to help with logistics and planning for the event. Graham agreed but only if a new band he was championing, an unknown band at the time, called Santana, was added to the bill. May of that year, the band had started recording their 1969 debut album Santana; it was completed a month later! It made 4 on the Billboard charts, largely on the debut single, Evil Ways and their Woodstock performance that followed soon after. The follow up album, Abraxas (1970), likewise was completed in a single month! The album was highlighted by a reworking of Fleetwood Mac's Black Magic Woman track; the album made 1 on the Billboard 200. The next album, Santana III (1971) also met a 1 charting but would be the last to feature the original Woodstock era line-up. Before the completion of the next album, Caravanserai (1972), the line-up changed multiple times. David Brown (bass) left in 1971 before recording started and was replaced by Doug Rauch and Tom Rutley. Michael Carabello (drums) left to be replaced with two percussionists, Armando Peraza and Mingo Lewis respectively. Keyboardist/vocalist Gregg Rolie was replaced by Tom Coster on only a few songs. The album debuted at number 8 on the pop charts, despite not spawning a hit single. 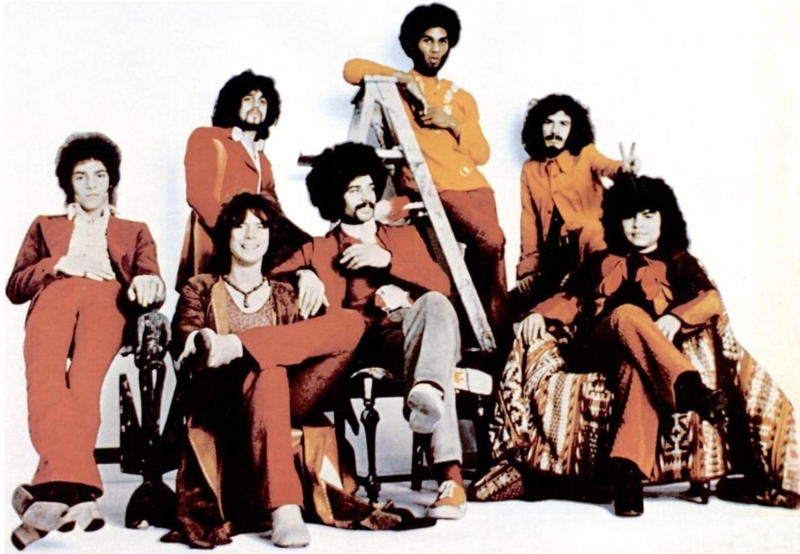 To this point all Santana's albums achieved platinum status, but Welcome (1973), and the next three consecutive albums, achieved only gold; Welcome gaining only a 25 on the Billboard charts, the act's worst to date. The trend continued with Borboletta (1974) having a more experimental style, although offering 20 on the charts. By contrast, the next release, Amigos (1976), was far more successful when it offered 10 on the US charts, and making top 10 in France, Australia, New Zealand, Austria and The Netherlands; it was a form of return to the success of their early albums. Festival (1977), contradicted that new-found success, but was a one-off before another successful album, Moonflower (1977), arrived. Moonflower offered a 2x platinum and the first since 1974 to break the UK top 10. It was characterized by a stylistic shift for the band, as it contained heavier influences from the more conventional sound of the group's early work, while still maintaining the experimental sound of their last few albums. A further musical shift away from the latin-infused rock towards a more album-oriented conventional sound happened with their next two releases, Inner Secrets (1978) and Marathon (1979). These pair of albums fared poorly commercially, although achieving gold the US nonetheless. Although Zebop! offered a top-20 and a platinum award in 1981, the follow-up, Shangó (1982) offered a gold award, but overall marked a sharp decline for the act in sales. Three years later, Beyond Appearances (1985), continued this trend to become a complete commercial flop, not even offering a gold certification. The next three albums, Freedom (1987), Spirits Dancing in the Flesh (1990) and Milagro (1992) went along for the downward ride. Although continuing to tour, they did not release for seven years there-after. In 1998, Santana was inducted into the Rock and Roll Hall of Fame. Supernatural (1999) debuted at number 19 on the Billboard 200 to reach 1 after eighteen weeks. The come back was fantastic as the album offered them a 15x platinum. Their last number 1 was in 1971, according to Guinness World Records, this is the longest gap between number one albums. Supernatural won nine Grammy Awards, including the award for Album of the Year, and also won three Latin Grammy Awards, including Record of the Year. The appeal of Shaman (2002) quickly wore off. Although it went 2x platinum and debuted at 1. The latin-rock influenced All That I Am (2005) debuted at number 2 on the Billboard 200 but fared worse internationally, and also quickly lost appeal. The album oriented Shape Shifter 2012) managed a 16 on the Billboard 200. On 2 February 2013, after many line-up changes over the years, Carlos Santana confirmed that he would reunite his classic line-up, most of whom played Woodstock with him in 1969. Also joining the reunion would be Neal Schon, who was in the band in the early 1970s where he traded lead guitar work with Santana before leaving with founding Santana singer-organist Gregg Rolie in 1973 to form Journey, also drummer Mike Shrieve and percussionist Mike Carabello. Corazón (2014) and Santana IV (2016) would follow. Columbia Records Promotional Picture of Santana in 1971. L-R: Neal Schon, Gregg Rolie, Michael Shrieve, Michael Carabello, David Brown, Carlos Santana, and José "Chepito" Areas.